The 124th release on Suffused Music welcomes Ewan Rill back to the label for a brand new single. The Russian producer and Sever Records label boss was one of 2015’s most prolific artists. His pendant for all things progressive and groovy made him one of the year’s most in demand remixers. As a result original material from Ewan became scarce and each new project was met with great anticipation. 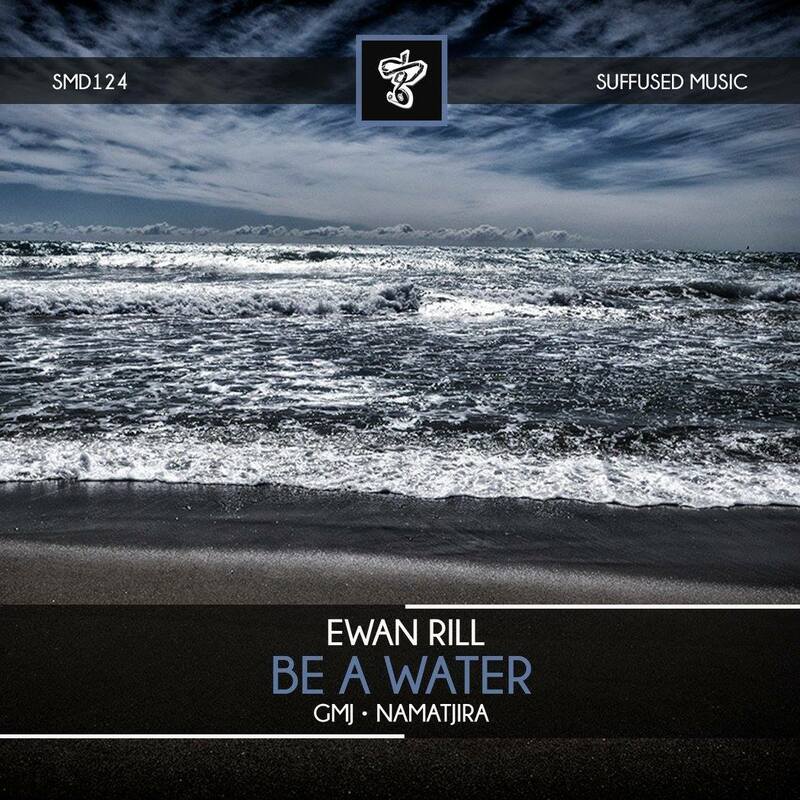 Several impressive remixes again have kicked the new year off nicely for Ewan and now Suffused music presents his first original material of 2016 with a new single entitled ‘Be A Water’ alongside remixes from GMJ and Namatjira. For as prolific as Ewan is he’s also extremely diverse, the common dominator in all his productions though is a keen dance floor sensibility. ‘Be A Water’ is no different with its funky foundation, phasing vocals and shimmering hypnotics. It’s smooth rhythmic cadence makes it immediately alluring while a bevy of subtle motifs further tantalizes the senses. An understated break plays well to the tracks delicate sensibility, allowing the impact of the groove to be felt on a subversive level upon return. Likely one of Ewan’s most mature works to date which certainly sets a strong precedent for the remainder of 2016. The first interpretation of ‘Be a Water’ is provided by GMJ who is making his debut appearance on Suffused Music. As one of 2015’s brightest stars, the Aussie producer navigated his way from one impressive project to another, finding a home on Proton’s Particles and Balkan Connection. With an intelligent approach that draws influences from the Aussie old school and progressive new school, GMJ has become one of the undergrounds most intriguing artists. His Suffused Music debut has been much anticipated and he delivers a strong interpretation of ‘Be a Water’ as a result. With a deeper, more ethereal vibe GMJ has opened the piece up to a broader range of floors while adding his own subtle, yet profoundly emotional twist. A band of trailing effects casts a dubby haze as a light tonal theme continues to lift the mood with each passing loop. A short but well executed break brings a euphoric rush before a third act of dubbed out chord changes takes you home. The second and final interpretation of ‘Be a Water’ is provided by Namatjira who is also making his first appearance on Suffused Music. 2015 was filled with many great accomplishments for the Dutch producer. His debut album on 3rd Avenue was met with praise from Hernan Cattaneo and Nick Warren while an EP for Omid 16B’s SexOnWax drew similar acclaim. Namatjira continued to build on that success to start the new year with a strong remix for Sound Avenue along with a hugely impressive 4 track EP for dPen’s The Last Of Us Music. Now for his much anticipated Suffused Music debut Namatjira closes the release out with a great rendition of ‘Be a Water’. Anchored by a subterranean groove and shifting designs it’s a mix that proves impactful, both for the dance floor and the mind. It’s swirling motifs and trail of sonic decay make for an intoxicating journey while a stripped down second act sits as it’s a gorgeous centrepiece. Beautiful remix from Namatjira and one of Suffused Music’s all time best offerings. Don’t miss it.